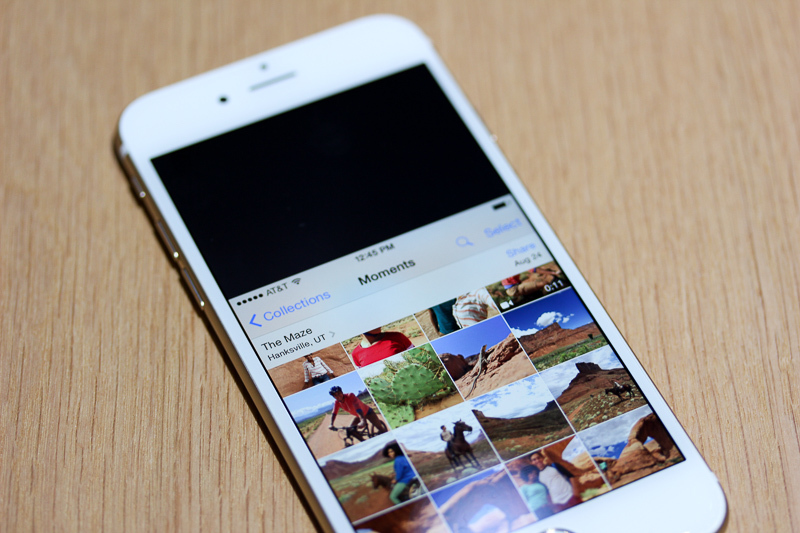 What's new with the iPhone 6 and 6 Plus? 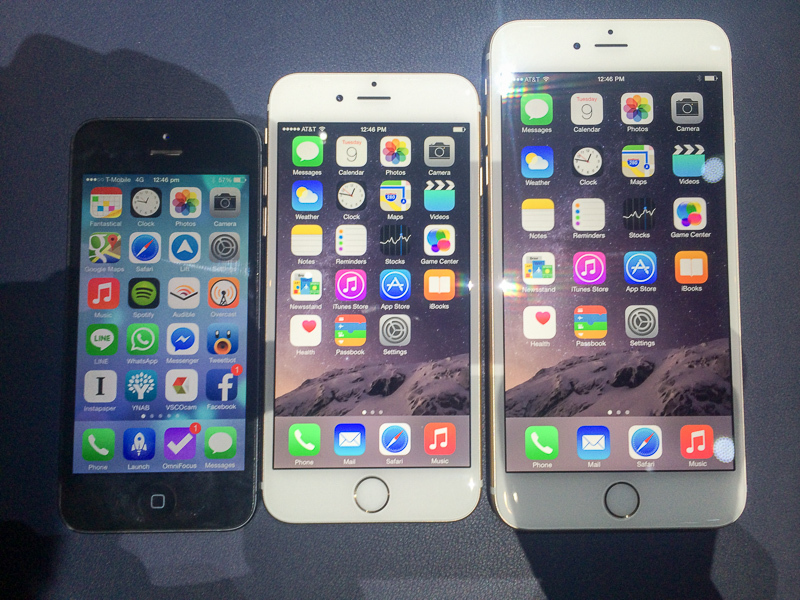 Simply put: The iPhone 6 and 6 Plus are bigger, thinner, and more powerful than previous iPhones. The camera remains at 8MP, but with new sensors and phase detection autofocus, which is the same kind of autofocus used by DSLR cameras. The iPhone 6 Plus has a slightly better camera, with optical image stabilisation for steadier shots, and also longer battery life than the 6. The 32GB model is gone; 16GB stays, 32Gb is replaced by 64GB and there's a new 128GB model. Prices stay the same for the iPhone 6 compared with the iPhone 5s at launch, while the iPhone 6 Plus is US$100 more at each level. The iPhone 6 and 6 Plus will be launched in Singapore on 19th September. No word yet when the telcos here in the Philippines will release both iPhone devices. How do the new iPhones look and feel in real life? 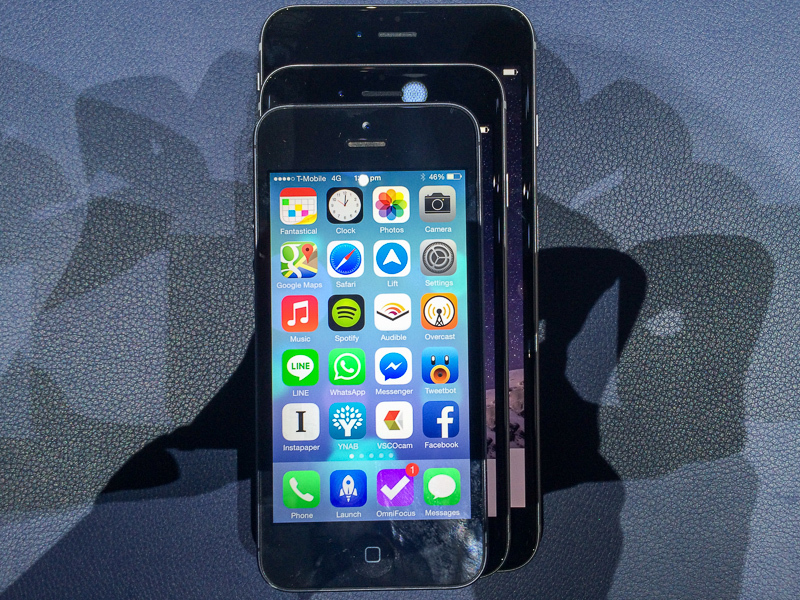 Apple's newest iPhones are its biggest, and yet thinnest yet. So how do the bigger iPhones feel in the hands? 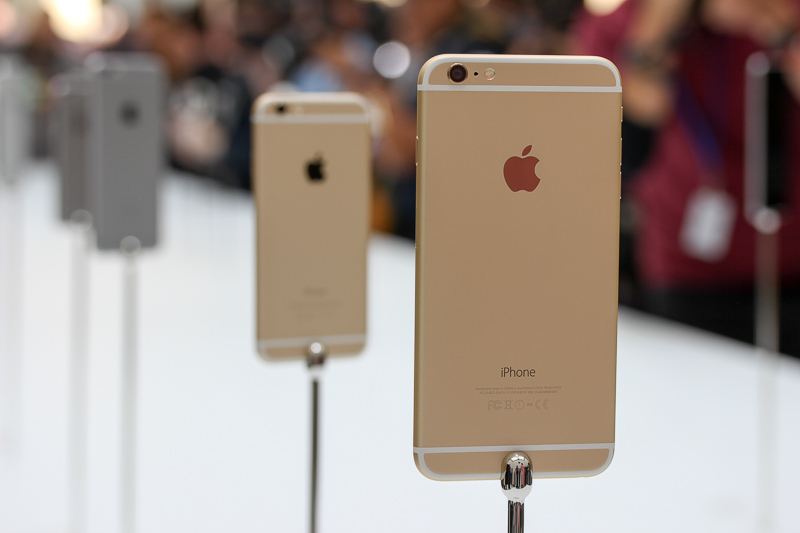 The iPhone 6 feels more like the original iPhone and the iPhone 3G/s did. 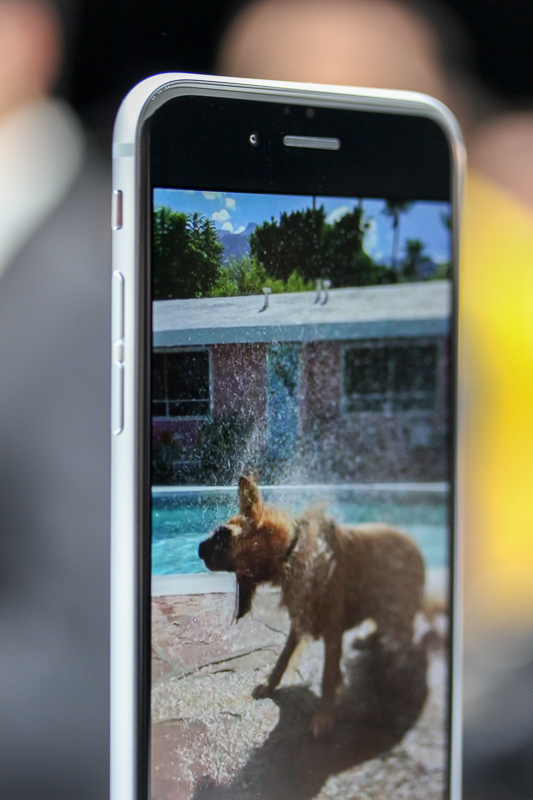 Unlike the iPhones 4/s and 5/s which are hard-edged and blocky, the iPhone 6 feels smooth and organic in the hands. They also feel incredibly light, despite the 4.7" (129g) and the 5.5" (172g) both weighing slightly heavier than the iPhone 5/s (112g). Both new iPhones look and feel impeccably well-made. The curved corners of the screen catch the light with an attractive gleam, and the aluminium body looks confidently strong. Nothing here is unapologetically plastic. The iPhone 6 looks like a single shape, and you feel like you're twirling a smoothly polished stone rather than a block of machinery. 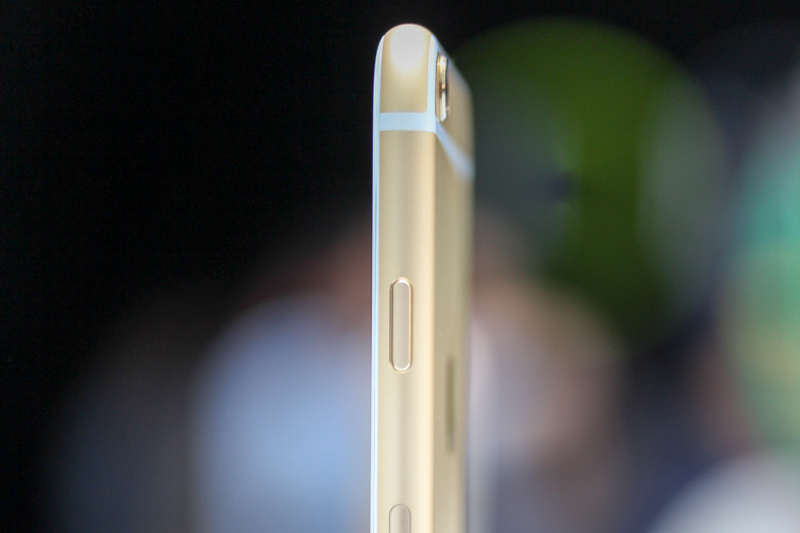 The curved forms of the iPhone 6 really remind me of the original iPhone. I wonder if there's more than a hint of coincidence there, knowing how obsessive Jony Ive is with the details. The power button has been moved from the top to the side, where it's more easily reached with the bigger sizes. The rear camera juts out slightly from the body, but when you place it on the table you hardly notice it. I certainly didn't feel any bump or unevenness when using both new iPhones on a table. Apple never mentioned it in the keynote, but the iPhone 6's slim figure might be the reason they waited eighth generation iPhone to increase its screen size. Its thinness makes it easier to reach around the body and touch the screen. Now see how I try to reach across and use the bigger iPhone 6 Plus. I don't think most can use this phone with one hand. I have pretty big paws for an Asian guy, and the iPhone 6 with 4.7" feels just right in my hands. I can reach for apps without much of a problem and the phone fits nicely into my jeans pocket. 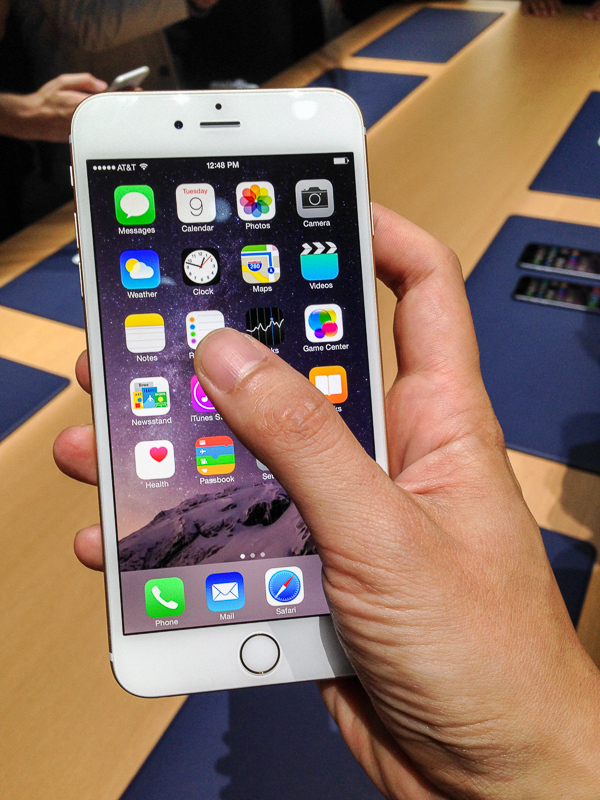 The iPhone 6 Plus with the 5.5" screen, on the other hand, feels big. Real big. It's a stretch to reach across and tap on the furthest icons, and it really feels like you want to use two hands with this one. Double-tapping (not pressing) on the Home button for both iPhone 6 models activates a new Display Zoom feature, which brings down the screen so you can reach what you want to tap more easily, but it's still work. However, Apple has made the iPhone 6 Plus easier to use and maybe even more productive in a new landscape mode, which you can see on the next page.